If the Chinese activists who landed on Diaoyu Islands (釣魚台島) last month sound a lot like Arnold Schwarzenegger, that’s because they have stolen the Terminator’s famous one-liner. The half-dozen men who dodged the Japanese Coast Guard and planted Chinese and Taiwanese flags on one of the disputed islands vowed to be back, over and over again. Their fearless (some say reckless) act – the most successful landing by Chinese civilians in 16 years – have set off a new wave of territorial disputes between the world’s second and third largest economies. The set of uninhabited isles, known in Japan as the Senkaku (尖閣諸島), have little known economic or strategic importance to either side. Claims that the seafloor contains rich mineral and oil deposits remain unconfirmed. The five rocks and three reefs add up to an area of 7 square kilometers, about the size of Causeway Bay. To put things in perspective, China signed a series of treaties with Russia between 1858 and 1883 and gave away over 1,600,000 square kilometers of land in the northeastern region, an area three times the size of France and five times the size of Japan. It is therefore clear from the get-go that the disputes are not about resources or real estate. They are about something far more deep-rooted and toxic. China and Japan have so many unsettled scores in their tortured history that even a few worthless rocks are enough to spark a cold war-style standoff and threaten the most important bilateral trading relationship in Asia. Neither country is interested in war. But for fear of appearing soft at home, both governments refuse to talk and have stepped up their rhetoric instead. The Japanese have gone so far as to “nationalize” the disputed islands by purchasing them from their supposed private owners. 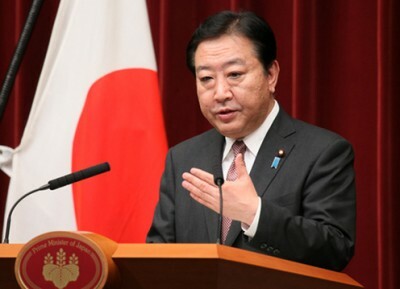 That move, which Prime Minister Yoshihiko Noda (野田佳彦) claimed would prevent the islands from falling into the hands of right-wing extremists, has plunged China-Japan relations to their lowest point since the two countries normalized diplomatic ties in the 1970s. 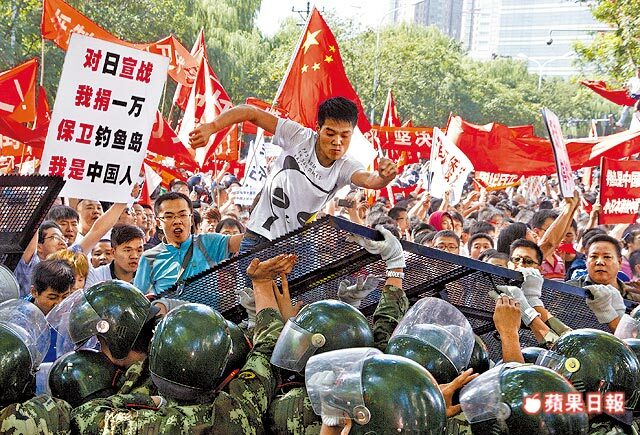 Anti-Japan protests have broken out in over 80 cities across China. In Shenzhen, for instance, angry mobs besieged Japanese department stores and attacked Japanese-made vehicles. Even sushi restaurants owned by local Chinese were not spared. 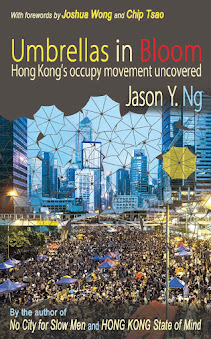 The Japanese responded in kind: less violent demonstrations against “Chinese imperialism” are being held in major cities. Every territorial dispute is a he-says-she-says proposition. Everyone has an opinion but few bother with the facts. Following the Diaoyu conflict is a lot like watching China and Japan compete in the Olympic gymnastics: we suddenly become armchair athletes ready to dispense judgment based on a little bit of knowledge and plenty of emotion. Here in Hong Kong, we instinctively throw our support behind our Motherland. It is the patriotic thing to do. As we cheer on our seafaring activists and wonder whether to cancel our Tokyo vacations, it helps to take a step back and look at the controversy from different perspectives. Between 1894 and 1895, China suffered a series of humiliating military defeats in the First Sino-Japanese War (甲午戰爭). Under the Treaty of Maguan (馬關條約), China ceded Taiwan and the neighboring Pescadores (澎湖列島) to Japan. The few barren rocks of Diaoyu were neither discussed nor written into the treaty. After that, Japan began exercising control over the general area, including the Diaoyu that they had renamed the Senkaku. Following its surrender in World War II in 1945, Japan returned Taiwan to China but handed the Senkaku along with the nearby Ryukyu Islands (琉球群島) to the Americans. It wasn’t until 1971 when the United States reverted “ownership” of both the Ryukyu and the Senkaku Islands to Japan pursuant to the San Francisco Peace Treaty. Since then, Japan has been arguing that the Senkaku were returned to them in accordance with an internationally recognized treaty. On that account, they must be the rightful owner. After the Ryukyu Reversion in 1971, Japan continued to administer the Senkaku and patrol the surrounding waters. In recent decades, Chinese activists who have sailed to the area have been routinely intercepted by the Japanese Coast Guard. By contrast, attempts by Japanese nationalists to land on the islands have not been met by any Chinese force. The uneven control exercised by the two countries further bolsters Japan’s claim that it has de facto ownership of the area. 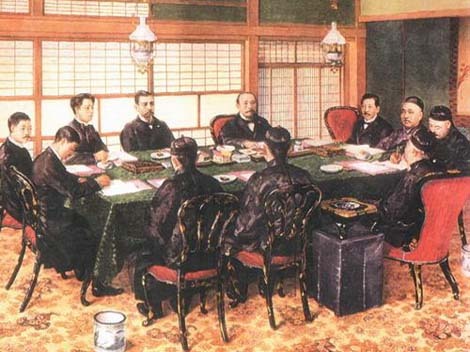 It gives Japan the upper hand on the international stage, and in particular, the International Court of Justice in the Hague that adjudicates territorial disputes. Under the principle of uti possidetis (Latin for “as you possess”), control and occupation are critical considerations in determining which country has a better claim. Much to China’s dismay, the abundance of historical records supporting its pre-1895 ownership holds little sway with the ICJ. In the eyes of America and much of the West, Japan is a pacifist country under the ever-growing threat of China’s territorial ambition. When in doubt, the international community always sides with a modern capitalist democracy over a single-party Communist regime. Nomenclature offers yet another glimpse of the global slant toward Japan. 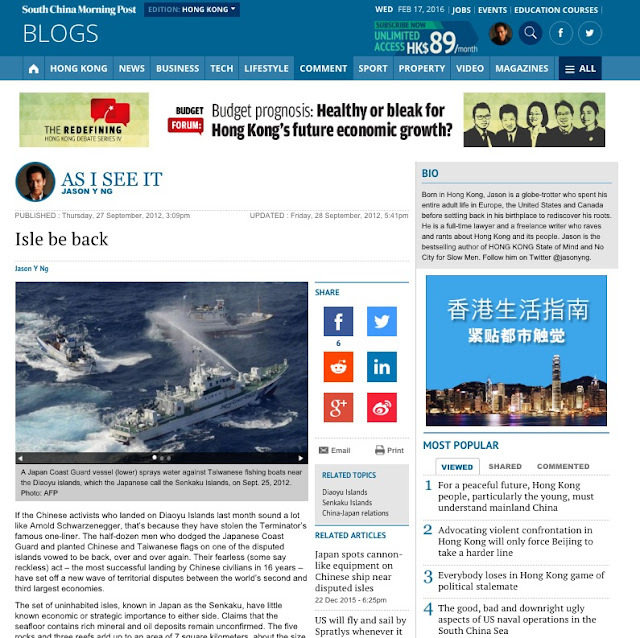 Every member of the Western press from The New York Times to The Economist refers to the disputed islands as “Senkaku” instead of “Diaoyu,” a semantic bias tantamount to a presumption of ownership. The presumption in the West allows Japan to shrug off historical records and other inconvenient truths. In fact, Japan has never acknowledged that a dispute over the Senkaku even exists. 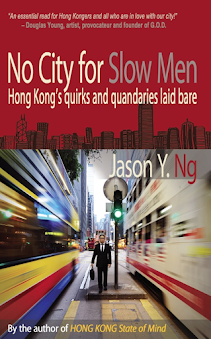 In the last two decades, China’s economic ascent has coincided with Japan’s gradual decline. The so-called “Lost Generation” in Japan has experienced stubborn deflation, unemployment and a deteriorating standard of living. To be sure, petty bickering that endangers a US$350 billion bilateral relationship is the last thing that the troubled nation needs. If China-Japan relations continue to worsen, Beijing will likely suspend the export of rare earths (metals used to make electronic components) to Japan, just as it did in 2010, with the potential to cripple Japan’s already struggling industries. But trade sanctions can be a double-edged sword. They can intimidate an adversary, but they can also fuel anti-China sentiment and give radical nationalists more ammunition to stoke public fears. After all, Japan’s hasty decision earlier this month to nationalize the Senkaku was spurred by a right-wing politician who threatened to purchase the islands himself. It is remarkable that one man’s radical views were able to drown out the moderate majority and dictate the country’s national agenda. It lays bare the feebleness of Noda’s government. Long before European powers began colonizing the world in the 15th Century, China had been annexing neighboring territories and expanding its imperial reach. 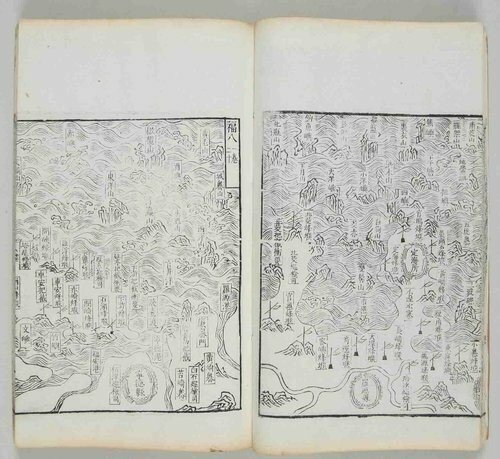 A plethora of historical records – those yellowed manuscripts and dusty maps we have all seen on television – provide irrefutable evidence that it was Chinese explorers who first discovered the Diaoyu and charted them on their maps. The earliest written record of the islands dates back to 1403. Its discoverer’s title notwithstanding, China has done close to nothing in the past century to assert its sovereignty over the Diaoyu. But its inaction is understandable. The history of modern China has been a bloody chronicle of foreign invasions, civil wars and natural as well as man-made disasters. Since the mid-19th Century and especially after the Second Sino-Japanese War (抗日戰爭; 1937 - 1945), the country simply had been too weak to bother with a few uninhabited rocks. Indeed, China missed out on several golden opportunities to take back the islands. 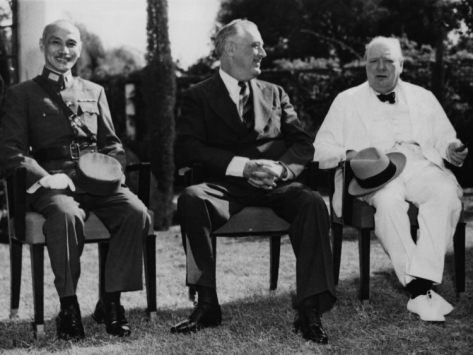 During the Cairo Conference in 1943, the United States offered Chiang Kai-shek, then President of the Republic of China, all of the Ryukyu Islands (including Okinawa) along with the Diaoyu, once the Allies defeated Japan. But Chiang turned down the offer partly because he was just happy to get Taiwan and Manchuria back, and partly because he lacked the military resources to administer the islands while fighting a brutal civil war against the Communists back home. The Diaoyu disputes resurfaced in 1970s when the U.S. ended its occupation of Okinawa and Japan was ready to redraw territorial lines in the East China Sea. In 1978, while China was still recovering from the Cultural Revolution, then Vice Premier Deng Xiaoping wanted to postpone negotiation to a better time. 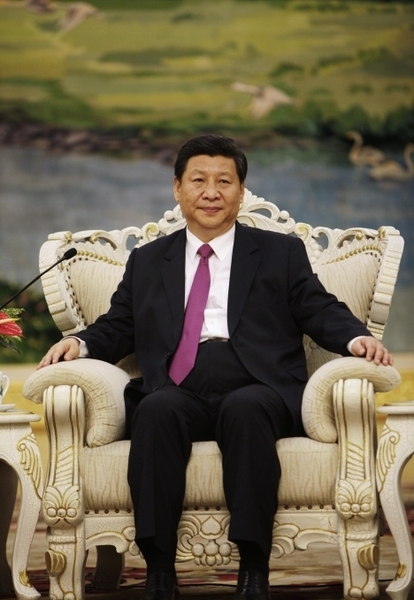 He famously told Japanese negotiators that his generation was not “wise enough” to deal with the Diaoyu. 40 years later, China is a very different country. While Deng’s next generation are not necessarily wiser, they are certainly wealthier. With double-digit GDP growth and trillion-dollar trade surpluses, Chinese citizens now demand and command respect. They are eager to flex their muscles on the world stage and settle old scores. Nationalism is on the rise and the anti-Japan protests we saw on the evening news these past weeks are only a start. Since this round of territorial disputes erupted, netizens in China have been trading creative ideas on how to put Japan in its place. One state-run newspaper in Beijing even recommended that a nuclear bomb be dropped on the enemy. Hasta la vista, baby. For now, Beijing is happy to play along. After all, a little patriotism goes a long way in an autocracy, as long as protesters continue to direct their anger at Japan instead of their own country. The trouble is that once you have angry mobs throwing rocks and burning flags on the streets, there is very little to stop them from vocalizing their other complaints. As collective frustrations over social injustice and widespread corruption boil over, it is only a matter of time until anti-Japan demonstrations turn into an all-out Jasmine Revolution. That’s what is keeping government officials up at night. A few barren rocks are not. When U.S. Defense Secretary Leon Panetta visited Beijing last week, he reiterated that America will not take sides on the Diaoyu disputes. But Panetta was also quick to remind China that the United States has an obligation to defend Japan and that obligation extends to the Senkaku Islands. It doesn’t take a seasoned diplomat to figure out that these two statements are inherently contradictory, or that America has never been, and will never be, neutral when it comes to China-Japan relations. Many Chinese historians argue that the Nixon administration was responsible for creating the disputes in the first place. 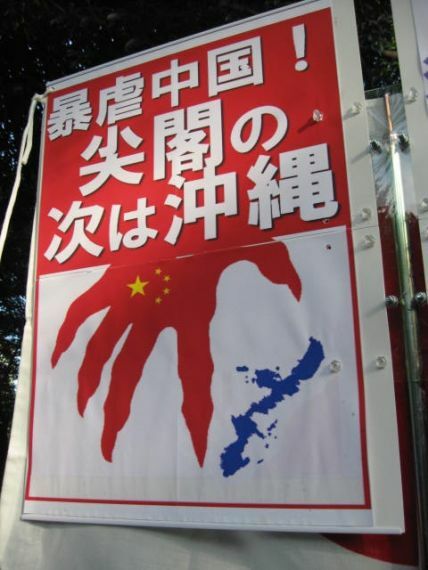 The Americans were the ones who callously handed the Diaoyu to Japan as part of the Ryukyu Reversion, when the islands should have been returned to China along with Taiwan in 1945. Some Chinese commentators go even further and suggest that it was the U.S. that spread rumors about lucrative oil reserves in the Diaoyu seafloor in order to rile up the two disputing countries. This may sound like a conspiracy theory, but it is not entirely beyond the realm of possibility. Indeed, no country has more to gain from soured China-Japan relations than the United States. On the one hand, a standoff between two Asian giants would allow Washington to test China’s bottom line in regional conflicts. China has been notoriously secretive about its military agenda, and the Pentagon is eager to find out how prepared the communist state is to use force and what its actual combat capabilities are. On the other hand, a China-Japan conflict strengthens America’s other alliances in East Asia, aiding its larger containment strategy toward Beijing. Predictably, Vietnam, the Philippines and Malaysia have all jumped on the get-off-my-property bandwagon against China following the recent Diaoyu flare-up. The latest turn of events in the East China Sea has been the biggest diplomatic bonanza for the U.S. since Nixon visited China. 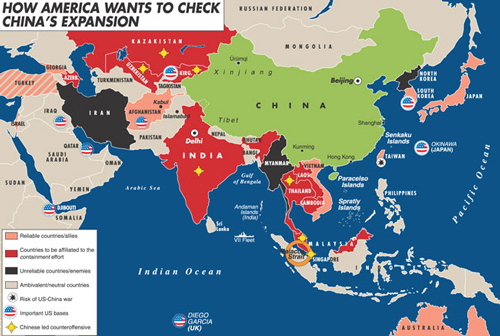 While a bit of tension in Asia may work to America’s advantage, too much of it would not be in anyone’s interest. In the highly improbable event that China and Japan go to war, the United States is technically obligated under the Japan-U.S. Security Treaty of 1951 to defend Japan. But that will never happen. America is not about to engage in a nuclear showdown with China over a few craggy rocks. On the other hand, not honoring the security treaty would destroy a bedrock of the America-Japan relations. A third Sino-Japanese War would put America between a rock and a hard place. So while Uncle Sam is fanning the fire, he is also making sure he doesn’t get his hands burned. 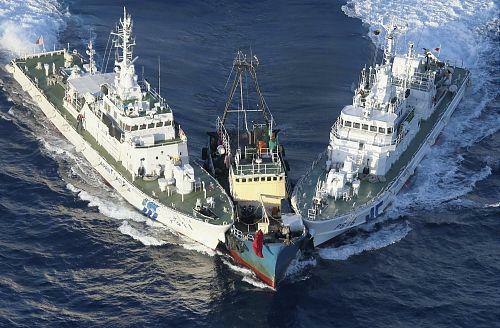 The fishing season in the East China Sea has just began. Thousands of Chinese and Taiwanese fishing boats are making their way to the Diaoyu waters. While most of them are there to fish, a daring few will attempt a landing on the disputed islands to assert Chinese sovereignty. When they do, they will find themselves in the eye of a perfect storm. With the U.S. presidential election, China’s change in leadership and the Japanese general election all scheduled to be held within the next nine months, the three countries – the largest economies of the world – will do everything they can to please their constituencies and not rock any political boat. That means Washington will continue its tough stance toward China, Noda’s government will maintain its strong rhetoric over the Diaoyu and Beijing will respond in kind in order to demonstrate its total control over a leadership transition marred by unwelcome hiccups like the Bo Xilai (薄熙来) scandal. When the busy political season comes to an end, so too will the territorial disputes. Until then, expect more talk of war and heavier traffic around the isles.